I visited this area in November 2017. 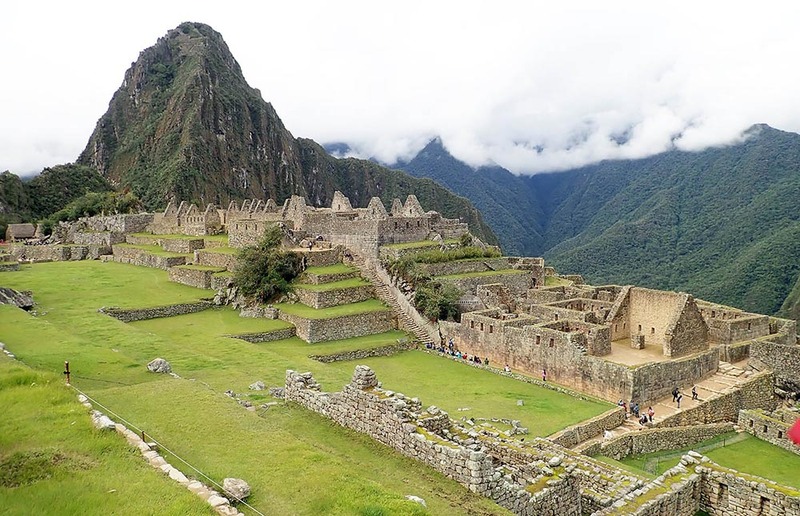 Of course Machu Picchu is known mostly for it’s intact culture and stunning historical surrounds, so it would normally fall out of the range of this website. I stayed in Cusco, which is a stunning historical town. From here, you have to get a day trip train to the famous ruins. 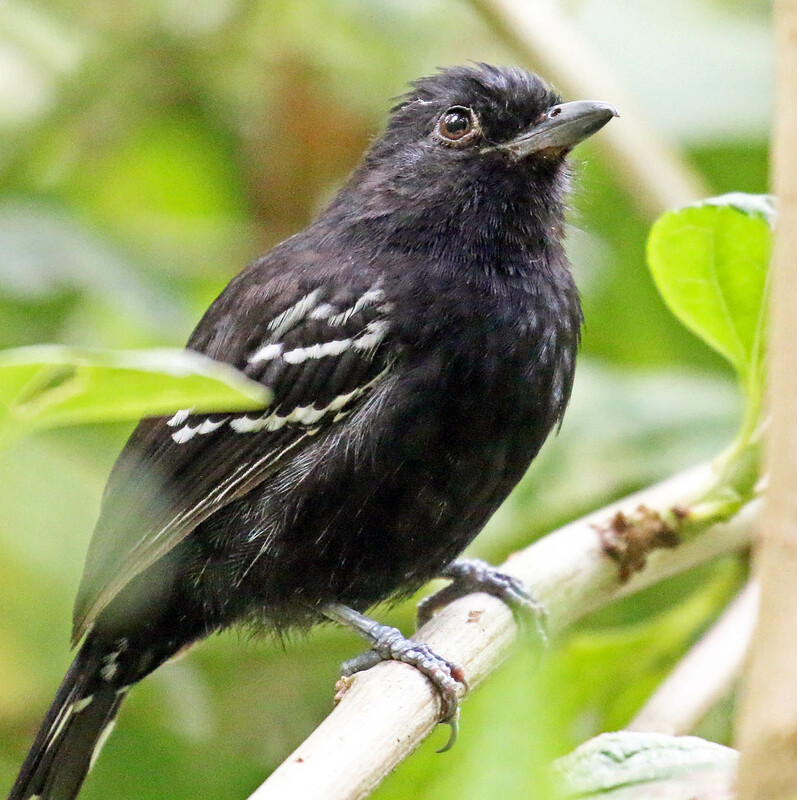 I did not have much time, but if I had a few more days I would have stayed in the much closer town of Agua Caliente, as just from my quick look it seemed the surroundings included great rainforest and birding. 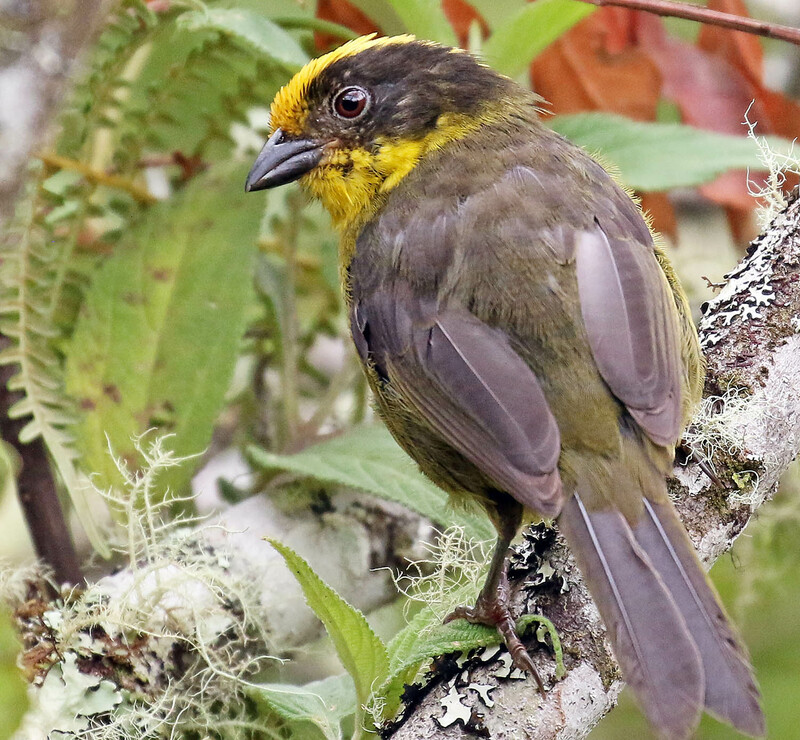 The river is an excellent place to see several species that are adapted, and endemic, to high altitude Andes rivers. 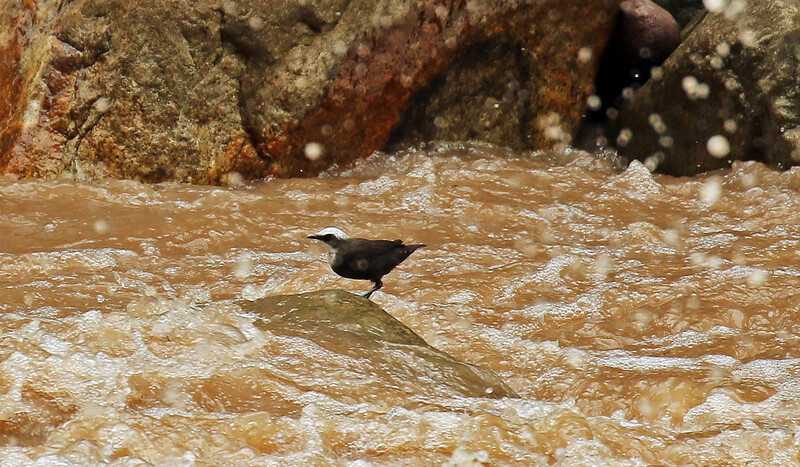 The 'White-caped Dipper', a bird endemic to fast flowing rivers (photograph by Damon Ramsey). The Torrent Duck is sexually dimorphic, the male having a contrasting white head, the female being more rusty coloured. 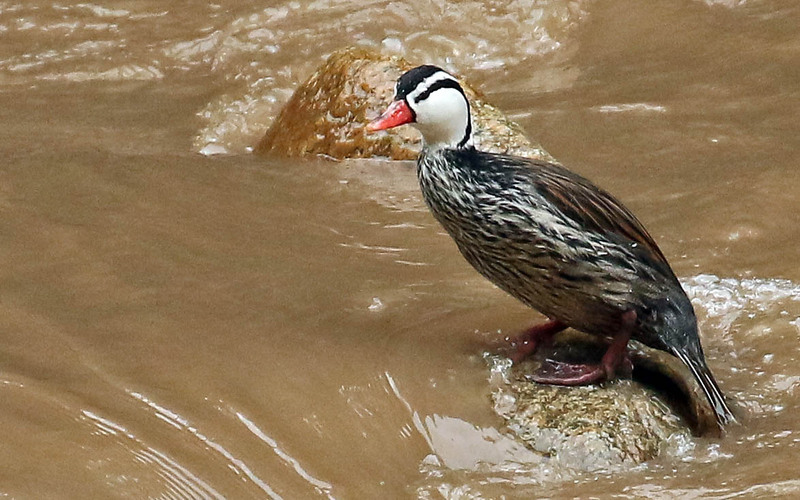 Torrent Duck, a species restricted to fast flowing waters in the Andes. You can get a shuttle bus up to the ruins, however, the walk up goes along the river and through nice rainforest. Be warned, it is a steep climb, and the altitude will cause you to huff and puff. There may also be lots of kids running up and down the stairs. But if if you have time, it is worth for some of the wildlife. 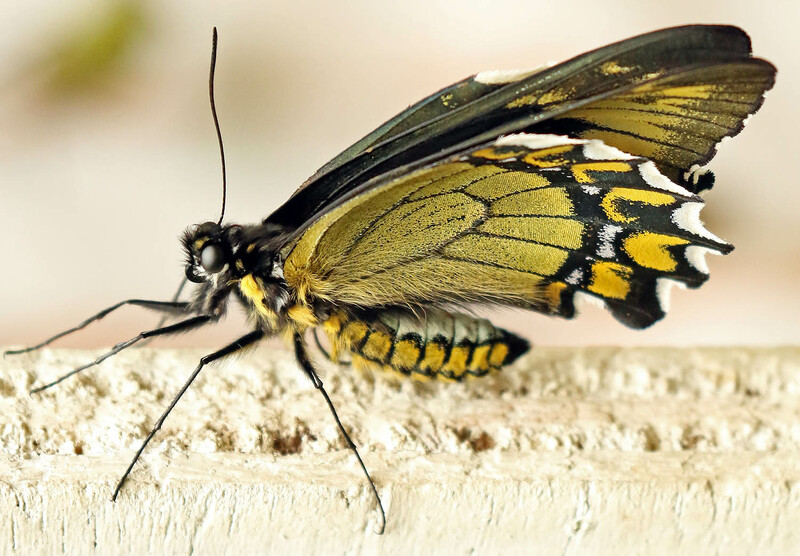 Up at the Machu Picchu ruins, it is not just the long dead and gone, there is life here as well. As can be expected, there are swiftlets. But there are also some mammals, including Llamas grazing free here. 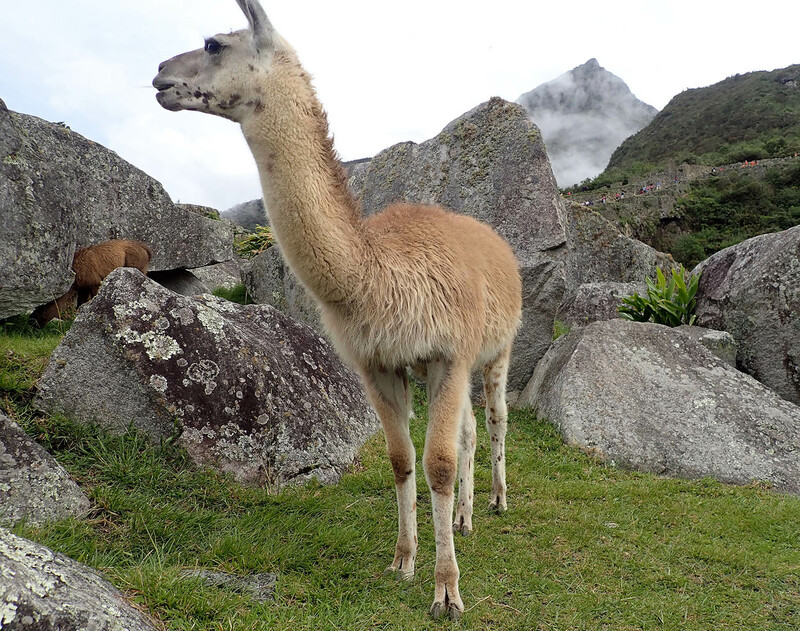 Llamas are a domesticated descendant of the wild living Guanacos. 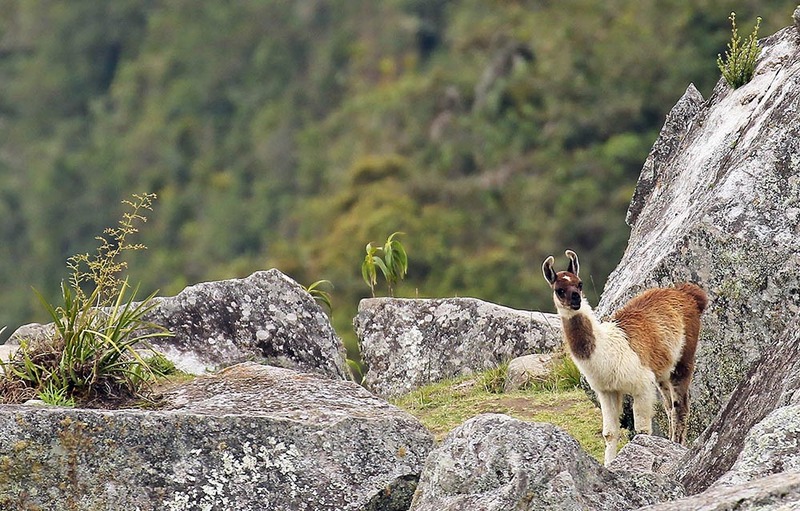 a Llama mowing the lawn at Machu Picchu. Alpaca similarly derive from Vicuna. (Llamas are bigger, with a long face, and long and bent 'banana' ears, while Alpaca are smaller with a squashed face and short ears). a Llama with bananas for ears. Even better are the wild northern Viscacha. 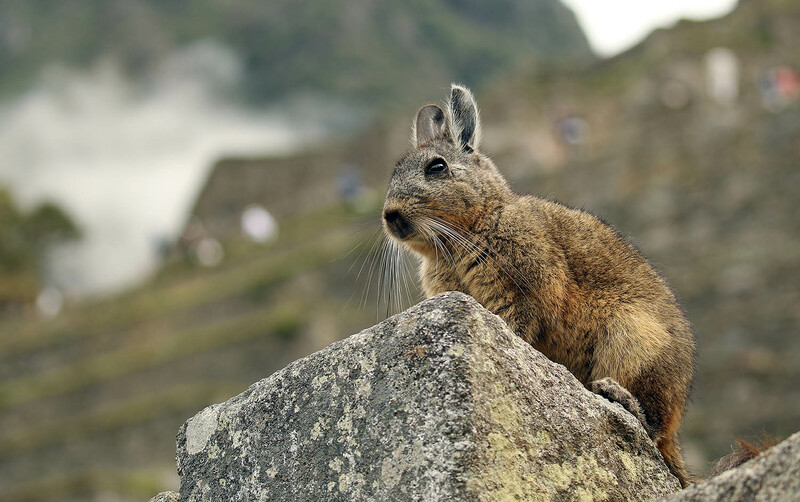 Tourists often mistake these for their relatives the chinchillas, but the latter are probably extinct in the wild in Peru (they survive only in Chile), and are much smaller. The Viscacha are larger, and the northern species had long rabbit like ears and a long tail that is usually curled up. They are apparently nocturnal, and more commonly seen in the morning or afternoon. However, I saw them bouncing around the ruins at about 3pm. There is a family here that I saw. I am not sure if they hang around the one place all the time. Ask one of the many guards if they know where they are. They are pretty cute (the rodents not the guards). 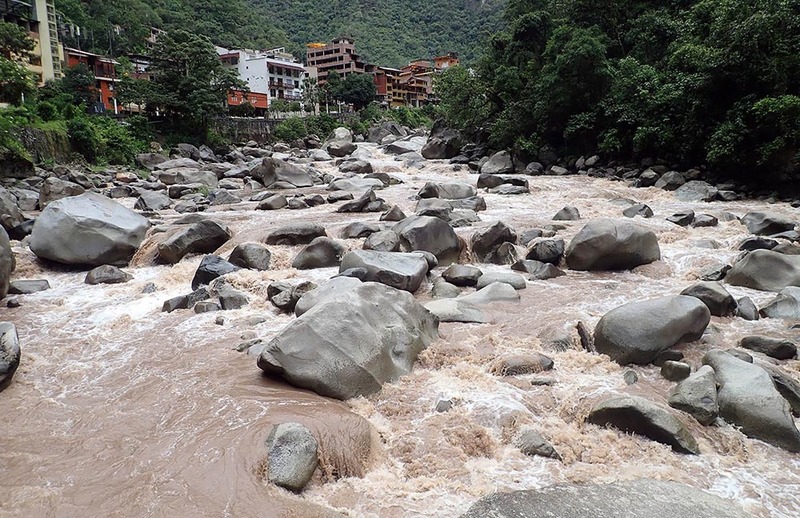 Getting to Aguas Calientes and Machu Picchu involves a spectacular train drive, as you can not drive there. The train has various classes, and is reasonably pricey by Peruvian standards, but it is well worth doing for the scenery alone. The train service is very well run, with great food available. Most of the carriages have huge glass windows so you can enjoy the view. It goes though beautiful farmlands, small towns, spectacularly steep valleys, and past raging white (or brown) water rivers. 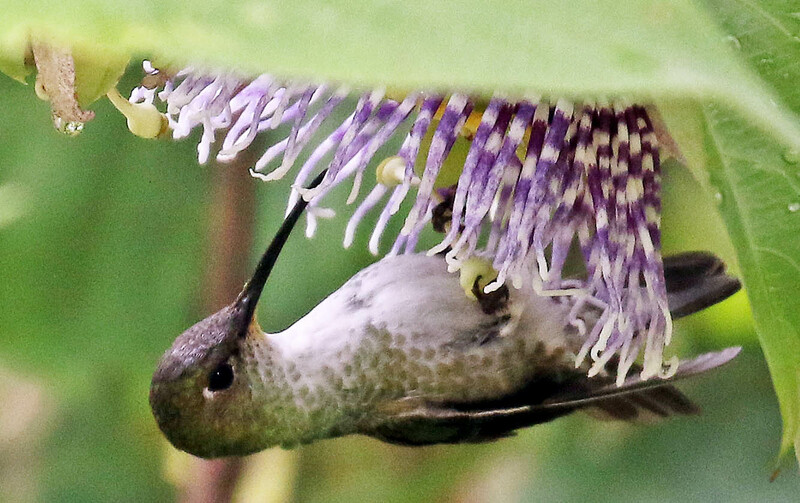 Hummingbirds can be seen right at the cafe at the entrance to the ruins.